I needed a new laptop. I had two laptops. One was an HP mini with a 10" screen running Lubuntu Linux (an extra lightweight version of Ubuntu). It was small enough that I could carry it around for writing in different locations. It has served me well. The other was an HP Pavilion from 2007. It was a noisy, slow, heavy tank with a 15.6" screen. I was using that one for editing audio (I help out with Psymposia's contribution to the Psychedelic Salon podcast). It was so noisy that it made it hard to hear the audio I was editing, and it was prone to crashing. I wanted to replace them both with a single 14" laptop (or do we call them "notebooks" now?) which would also be powerful enough to smoothly run audio manipulation software. I was very broke (mostly unemployed) and buying a new machine was not an option. It was fun to do the research and shop around for the best computer for my precious few dollars. I like going into those used computer stores, surrounded by technology with a nerdy salesman. 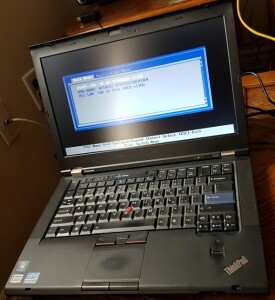 I finally decided that I wanted a Lenovo ThinkPad. A salesman told me the T4 and T5 series have sturdy metal frames, it's easy to upgrade and swap out old parts for new, and online reviewers seem to love them (except for the occasional complaint about noisy fans). I ended up at a shop buried in a residential area, which seemed to have new and used models of every laptop Lenovo ever made. They had lots of beautiful brand new ones which were far beyond my budget. 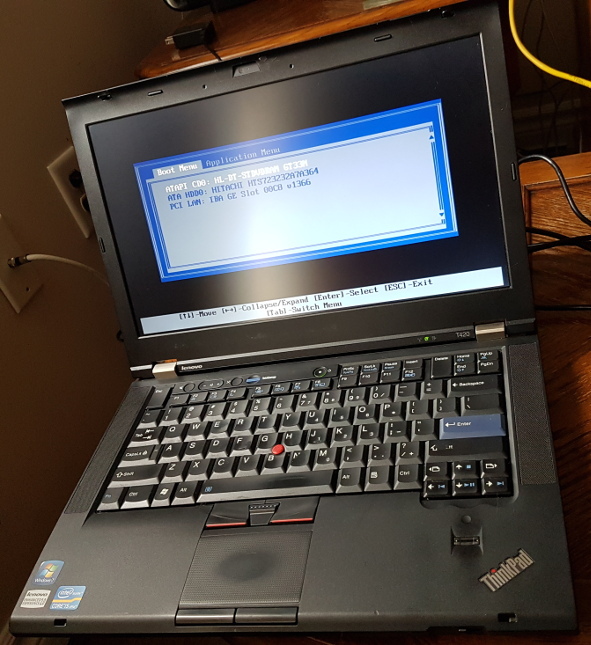 The salesman showed me a few models and I took a risk on a T420 with lots of cosmetic wear. It had a 14" screen, 4GB of RAM, a 2.6GHz quad-core processor, and a 320GB HDD. It had a crack in the corner of the shell, some of the labels were worn off the keys on the keyboard, the USB ports were all 2.0, and it had no operating system. These were produced in 2011, so it was six years old when I bought it. He reduced the price for me and I bought it for $300, taxes in, with a 90-day warranty. I went home and made a bootable USB, and proceeded to install Ubuntu 16. This story would be more interesting if I encountered some problems along the way. But I didn't. The computer works amazingly. It's small enough to carry around but powerful enough to smoothly run Audacity and other audio software. Also, with Linux's Jack audio system I can maximize the computer's resources to run more powerful software for making music. When I get my TASCAM US-200 USB audio interface from storage then it will run even better. This PC has the best keyboard I've ever used. That sounds like a minor thing but it really isn't. I'm a writer, and it's really frustrating to deal with weird keyboards. Even though the letters are wearing off the keys, they still have perfect resistance and pushback, like brand new. The battery is still strong and lasts for at least a few hours. The point of this story? If you're looking for a good used laptop I strongly recommend old Lenovos. The T420, T430, T520, and T530 are consistently lauded in reviews, and readily available on any market that deals in refurbished PCs. 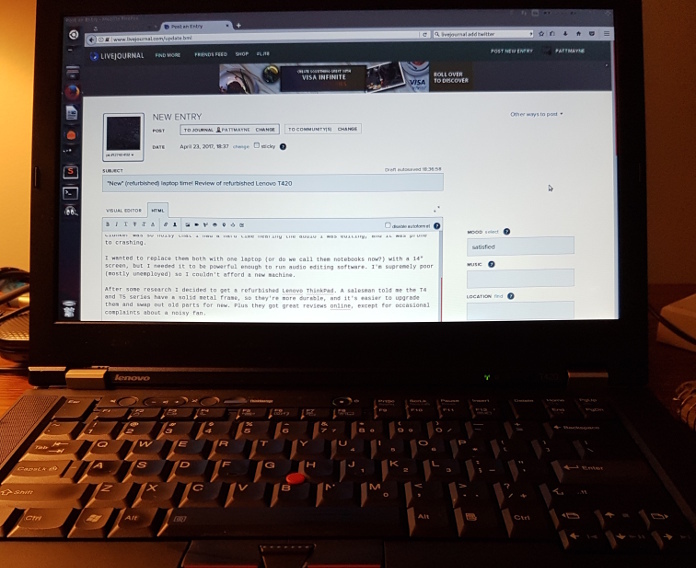 Also, if you want to make music or produce audio but you can't afford a new machine or commercial software, get an old Lenovo and replace clunky Windows with a lightweight Ubuntu build. Ubuntu Studio is an operating system that manages resources to favor an audio-editing environment. The Linux music and audio software is generally harder to use than Mac or Windows software, not as reliable or powerful, but it's free and it's much more powerful than you might expect. Plus you get a lot more control over everything. I'll probably write some blog posts about Linux audio in the future. When I get some decent cash-flow going I'm definitely going to invest in a new T-series ThinkPad. Maybe I'll keep Windows on that one, but Linux just feels right on these machines! Drawbacks: The crack in the shell is an eyesore and may cause some kind of problems in the future. But right now it's purely cosmetic. It's a little slow on bootup and starting programs, but then it runs them perfectly (I might need to optimize the resources somehow to speed up bootup). As I mentioned, many folks complained about the noisy fans on the T4 series. 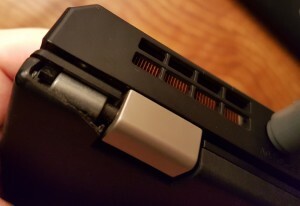 Apparently there are ways to fix it (like updating the BIOS or running fan-control software), but I can't vouch for those solutions since my fan is already very quiet. Also, I don't know how well Windows would run on this thing. Ubuntu runs great, but Ubuntu generally runs smoother than Windows. Please comment if you've had good or bad experiences with Lenovo ThinkPads, or with Linux audio.